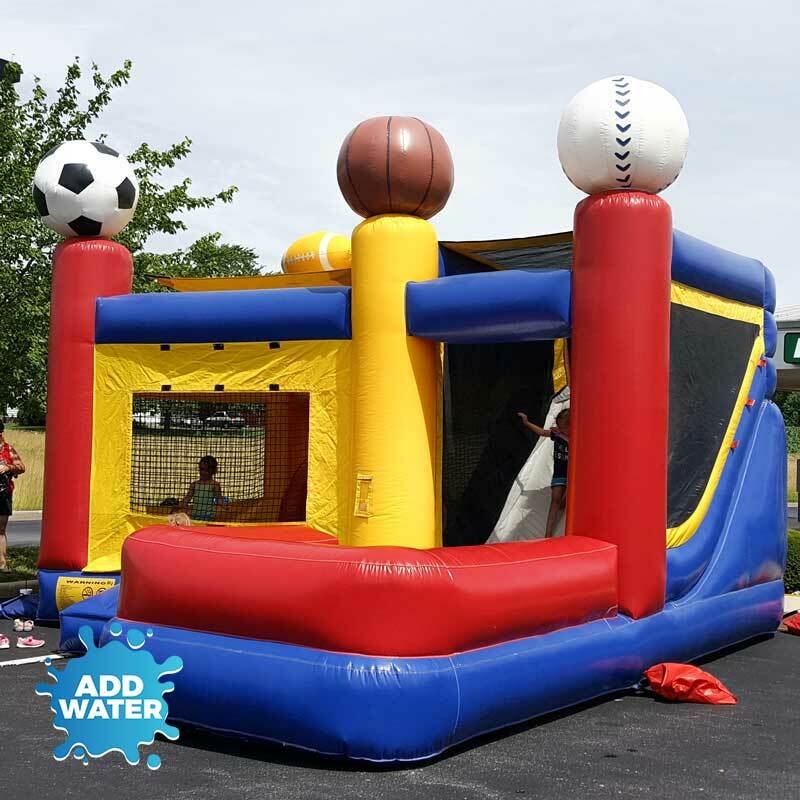 No matter what kind of sports fan, this combination bouncer and slide is sure to please. The walled bouncing area keeps guests safely within the netting and offers a climbing wall inside that connects to the exterior slide which can be used with or without water. This slide can be used as a water slide too!